Why Should I Hire a Professional Insulation Contractor? When it comes to saving money each month, there are few things that can save homeowners money. One of the best ways to do this is to have insulation professionally installed. While homeowners could hire home improvement or general contractors to tackle this job, the outcome might be less than desired. So when it comes to having insulation installed, there is no better option than hiring a professional insulation contractor. One of the main things that people love about hiring a general contractor is that they are a jack of all trades. This means that they know a little bit about fixing all kinds of issues. The problem is that they don’t specialize in any one skill, and this often makes them a poor choice when it comes to handling important jobs like having insulation installed correctly. Insulation contractors know one thing, and that’s insulation. You wouldn’t hire a roofer to do your plumbing, so don’t hire a home improvement contractor to do your insulation. Many companies that work exclusively with insulation are Certified Energy Professional-accredited contractors. 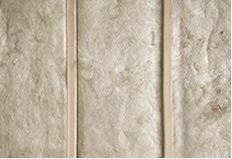 These companies dedicate their operations to installing insulation properly to ensure that homeowners save money. They do not just know how to install insulation; they have knowledge about ventilation, air infiltration, vapor retardants and other important technological techniques to ensure that you are getting the most bang for your buck. This kind of knowledge is critical when it comes to properly installing insulation. There are tons of different types of insulation out there. A general contractor might think that they are all the same or all offer the same benefits. However, each type of insulation has its own pros and cons. This is information a certified insulation contractor can walk you through. It’s important for homeowners to know the difference between batt, blown-in, and spray foam insulation, as well as know what benefits each one offers. Don’t waste time and money hiring a general contractor to do your insulation. When it comes to something as important as making your home more energy efficient, do it right the first time. Hire a professional insulation contractor, and rest easier knowing your home is in good hands. To learn more, contact USI online to get a free quote. USI believes that excellence in every step of the process ensures timely completion and quality service, time after time.